Looking for Halloween activities and places to go? 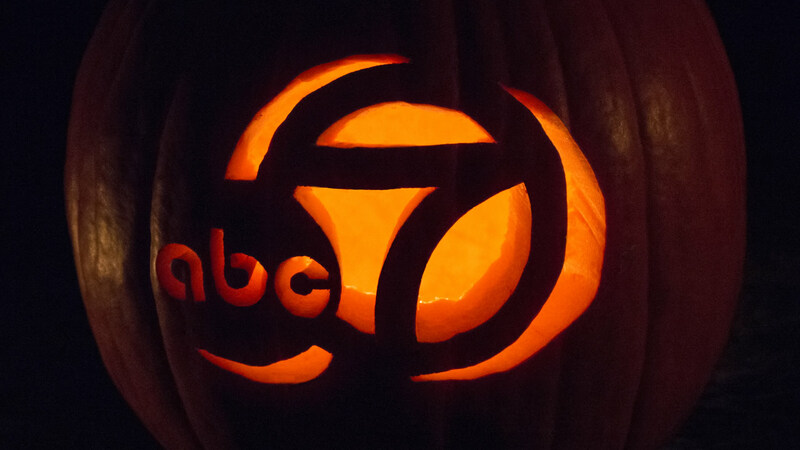 Here are some "spooktacular" destinations around the Bay Area that are full of festivities! Scaregrove at Stern Grove - This annual family-friendly Halloween event features haunted houses, hay rides, carnival rides, giant inflatables and food. 3p.m.-9p.m., Oct. 28. Boo at the Zoo - Trick or treat surrounded by incredible animals. Watch them enjoy tasty holiday treats and brave the Haunted Nature Trail when the sun goes down. Oct. 29-30. Halloween Hoopla - This free event in the beautiful Yerba Buena Gardens is perfect for kids. Halloween at the Yard - The Yard is hosting a Halloween event for kids, adults and pets. There will be trick-or-treating, pumpkin painting and a costume contest. 11a.m., Oct. 30. Half Moon Bay Pumpkin Festival - This legendary event pays tribute to the almighty pumpkin (and gourds of course!) You can't miss the Safeway World Championship Pumpkin Weigh-off and all the giant pumpkins participating in it. There's also the Great Pumpkin Parade as well as the world's largest pumpkin sculpture. Food, fun and costumes await! Oct. 15, 16. The Repetto's Pumpkin Farm - 12331 San Mateo Road, Half Moon Bay - The Repetto's Pumpkin Farm is a Bay Area family tradition in Half Moon Bay. Repetto's includes a corn maze escape challenge, a tractor-pulled hayride, a climbing haystack pyramid and a giant pumpkin-decorated hay bench to pose with your family for Halloween photos! Many varieties of pumpkins are available for purchase for decoration and cooking. Pick of the Patch Pumpkins - Several varieties of pumpkins are available for purchase as well as an interactive pumpkin patch tour, bounce house, slide, retail items and Halloween-themed photographs, open through Oct. 31. Doggie Costume Contest - Bring your proud pup to the costume contest and enter to win a $300 shopping spree! Oct. 22, 2p.m. Haunted Theme Park - This scary attraction features five haunted attractions and some nightside entertainment. You can explore the "Laboragory", "Pirated of Emerson", "Holiday Horror", "The Hack Shack" and the "Dark Gauntlet" Oct. 7-9, 14-16, 20-23, 27-31. Boo at the Zoo - Oakland's zoo has its own Boo event. Dress up in your costume and collect candy around the park. Other activities include face painting, treats for the animals and much more. You can see how the animals at the Oakland zoo celebrate Halloween! 10a.m. -3:00p.m., Oct. 29,30. Unhaunted House and Carnival- The Unhaunted house features many family friendly characters as well as face painting, food and more. Oct. 21, 6-9p.m., Oct. 22, 4-8pm. Ponies and Pumpkins in the Pasture - This pumpkin patch has the added feature of ponies! You can decorate horseshoes, pet the ponies and watch some equine demonstrations. This event is a benefit for the Theraputic Medical Centers, which help horses of all ages. 10a.m. - 2p.m., Oct. 16th. Pumpkin Patch and Activities - Participate in the corn maze, Old West Town, hay ride, farm animals, gem painting, antique museum and shop for your family pumpkins, gourds, corn, corn stalks straw bales and more. Open daily 9p.m. - 6p.m., Oct. 1-31. Webb Ranch Pumpkin Patch - This attraction features a haunted house, hay rides, train rides, pony rides, petting zoo, pumpkin slingshots, vendors, face painting and a jumpy house. Open all of October, 10a.m. - 5p.m. Howl-ooo-ween 2016 - Trick or treat with animals from the Lindsay Wild Life experience. Come in costume and get through the obstacle course and trick or treat. Oct. 27, 5:30p.m. - 8:30p.m. Goblin Jamboree - Put on your spookiest costume and join the Goblin Jamboree at the Bay Area Discovery Museum. This two-day Halloween festival is designed for children ages 6 to 10 so bring the little ones for a day of fun. Pony rides, petting zoo, face painting, boo bowling, mini-golf and even hay rides will be available at this event, Oct. 15-16. The Amazing Maze- Kids can explore this glow in the dark 150 bale hay maze. It has tunnels, netting and a slide and its all under black light, perfect for Halloween.The exhibit will be open all of October. Tolay Fall Festival- This two weekend long festival is full of family fun. You can check out some creepy critters in the old creatures barn, participate in a seed spitting contest and even pet the farm animals. Oct. 15-16, Oct. 20-21. Napa Haunted Harvest Halloween Carnival - Characters from Disney's Sleeping Beauty and Alice in Wonderland join in on the fun. There are several backdrops to take family photos in front of as well as food and music. Oct. 29 8a.m. - 3:30p.m. Napa Murder Mystery Wine Train - Explore a Halloween murder mystery with daring detectives and drink some of the finest Napa Valley wines at the same time, running all of October. Pumpkins in the Park - Have fun with the family in scenic Guadalupe River Park while you enjoy a giant pumpkin patch, costume contest, carnival games, food and more! Saturday, October 8 from 10a.m. to 4p.m. Spooktacular Halloween Lazer Light Show - Celebrate the scariest holiday of the year with an incredible display of lazer lights and music under the night sky of the planetarium at De Anza college. October 22, 29. Spooky Times at Deer Hollow Farm - This farm transforms into a dark forest with haunted barns. Enjoy children's activities and crafts and meet Deer Hollow's friendly farm animals. Treats and drinks available for purchase. 10a.m. - 3p.m. October 22. Monster Bash - Watch Hotel Transylvania 2 and celebrate Halloween with friends and family. Costumes are optional but certainly encouraged. Oct. 28, 4-8p.m. Winchester Mystery House Fright Nights - This place is spooky year-round, but during Halloween time you can go on a haunted tour by candlelight. This house hosted well over 10 million people, including Harry Houdini. You never know what ghosts will show up. Oct. 7, 8, 14, 15, 21, 22, and 28 - 31. Halloween Family Concert - Hear spooky music and tour the orchestra at Redwood Symphony. Oct. 30, 3p.m. Thomas and Percy's Halloween Party - Dress up for Halloween with your favorite train characters, Thomas and Percy as you take a ride through Felton, CA. Flash Mob Performance - NextStage Productions will perform in Downtown Santa Cruz on Halloween starting at 3:00pm. They'll welcome everyone to a dance along Ghost Busters number and others. Nightmare Before Christmas Sing-a-Long - Pacific Avenue isn't always the best place for kids, but this sing-a-long is perfect for the whole family. 7p.m, Oct. 30. Pumpkin Patch and Activities - Shop for the perfect pumpkin while you enjoy free activities such as hayrides, pumpkin slingshot, pumpkin cannon and more. They also have decorations available for all your fall needs, open Sept. 30 - Oct. 31, 2016. Halloween Trick or Treat Trail - Bring the little ones to trick or treat with over 60 participating businesses. Oct. 31, 3:00pm - 5:00pm.